Ginger's mom at Cards For Charity gathered her winged and fish-tailed friends together. 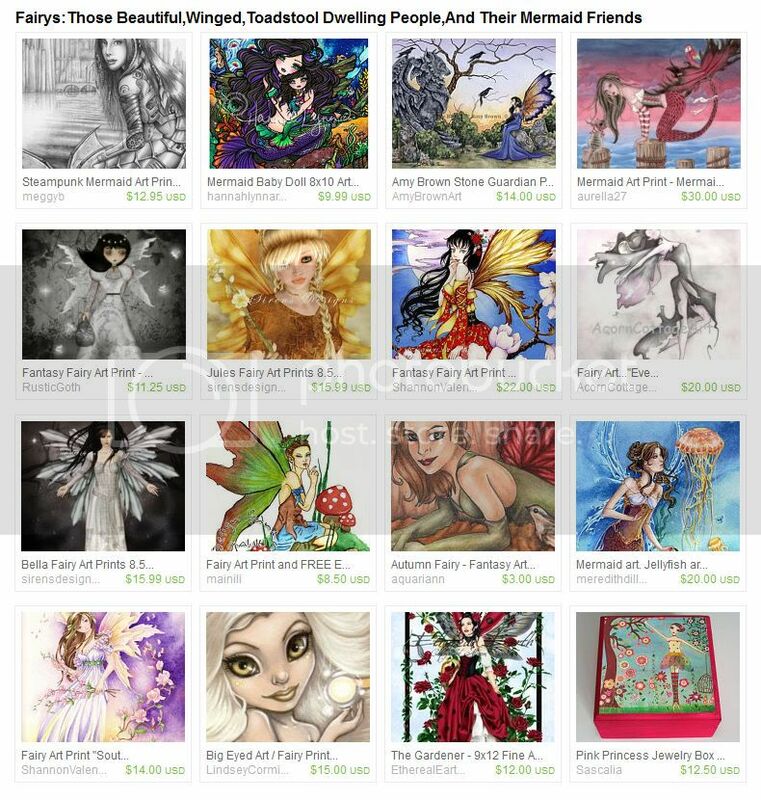 I am floating to have my autumn fairy drawing included amongst fairy art and mermaid paintings by talented fantasy artists like Amy Brown, Meredith Dillman and Lindsey Cormier. The Fantastic BBA in Red and Violet! Christmas Shopping List for Our Girl! Fantastic treasury! Congrats on being featured! Fun fairy treasury! Thanks for another great round up! Your treasury is fairy-riffic! I'm going to have to show this to my daughter. Total eye candy! I commented on the treasury too. I put together this treasury as a way to unwind and remind myself that being silly can make the stress go away! That's so great! I just love fairies! Really nice collection of faeries! Awesome curating!